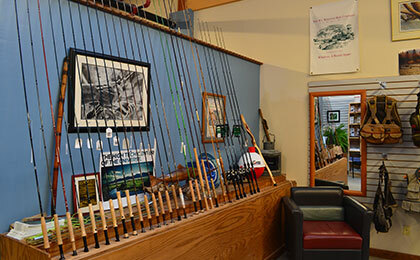 Before you head out to enjoy the great outdoors, step into Grand River Outfitting and Fly Shop. They take their passion for fly fishing seriously, creating a retail location that sells the merchandise and supplies they’ve come to trust. With 15 years of guiding experience, they offer instruction and guide services with extensive knowledge of the local fishing spots along the Grand River, and have a depth of knowledge of Ontario’s Great Lakes. Steelhead, trout and Smallmouth bass are popular species in southern Ontario but this crew has the resources to target exotics such as musky, carp or gar pike. Start your adventure here.